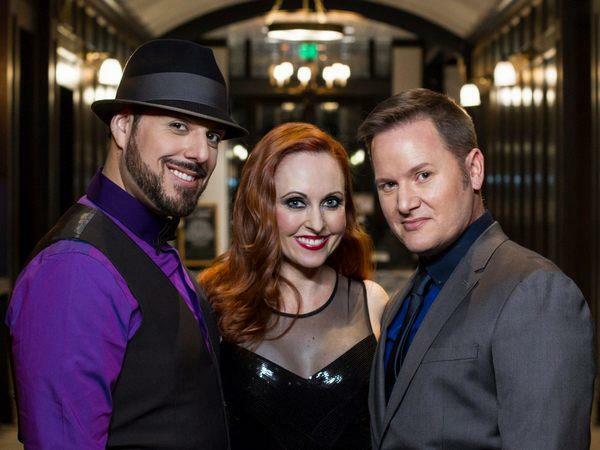 Join us this week as we welcome the classical pop trio, Klassika. What do you get when you combine classically-trained singers with pop music? You get Klassika! Merging the starkly different genres of pop and opera, Klassika has created a fresh, unique sound for its listeners. Known as Popera, or Classical Crossover, the genre features the best traits of each style, creating a beautiful partnership that’s music to the ears - literally!. Made up of classically-trained vocalists Jolanda Nel, Clint Shepherd and Chris Romeo, Klassika create gorgeous arrangements of popular songs, adding rich three-part harmonies. While staying true to the original essence of the song, the trio imparts their distinct crossover influence to each song to make it their own. Each member of Klassika brings years of training and experience to the group, creating a sound that’s impossible to ignore. If you’re looking for a fresh take on today’s music, look no further than Popera icon Klassika. We will talk to Klassika about their upcoming schedule, get a behind the scenes look at their music, feature their latest songs, and ask them to share their message for the troops. Please be sure to visit Klassika at http://www.klassikashow.com/ and spread the word. Fans are welcome to call in and speak live with them during the show (718) 766-4193. If you would like to participate in the live chat during the show, you must sign up on the show site first and then log in during the show. And as always we will give shout outs to our deployed military listeners. Be sure to join us, Sunday 7/19/2015 at 4 PM EDT! Our message to the troops....WE do what we do, because YOU do what you do.